There is something to be said for being able to find a different perspective inside of a Walt Disney World theme park, resort, or recreation area. Whether it is getting closer to some of the details, seeing them from a different angle than they were originally intended, or taking in a panoramic view of massive swaths of the property, we are drawn to these unique viewpoints. If you think about it some of our favorite views of the parks come from a different, usually related to height, perspective. In the Magic Kingdom we wait impatiently to reach the point just before the plunge down Chickapin Hill on Splash Mountain, peek through the canopy branches of the Swiss Family Treehouse, and marvel at the vistas from the Tomorrowland Peoplemover. In Disney’s Hollywood Studios we will scare ourselves half to death just to catch a glimpse of the park before the Hollywood Tower Hotel’s elevator gives out on us. At Disney’s Animal Kingdom we crane our necks to lookout over the park or wait in line to be at the very front of Expedition Everest’s tea train to see all of Walt Disney World lay out in front of us. Elsewhere, we reach for the skies on Disney Springs’ Characters in Flight, Humunga Kowabunga at Typhoon Lagoon or Summit Plummet at Blizzard Beach, and even when we dine at California Grill. 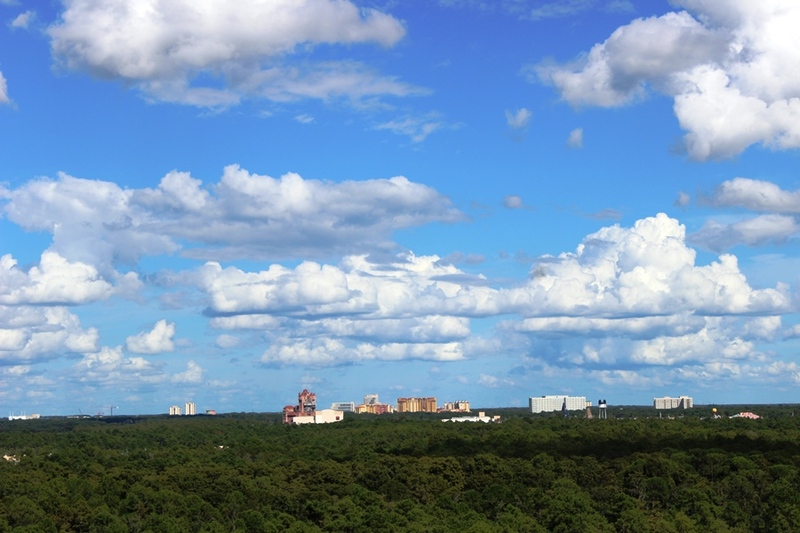 Once upon a time Epcot had some of the greatest height defined views in all of Walt Disney World. And with good reason, the pavilions of Future World and World Showcase are big and bold, almost reaching out desperately to be examined in all their glory The vantage points of Epcot vanished, slowly but surely, and we became accustomed to keeping our eyes looking up at the wonders, our feet firmly on the ground. It happened in ways where we lamented the loss of an attraction or welcomed in something new, and forgot to think about the details we were losing. The thought came to me recently when I was watching an old home movie someone had posted of World of Motion. 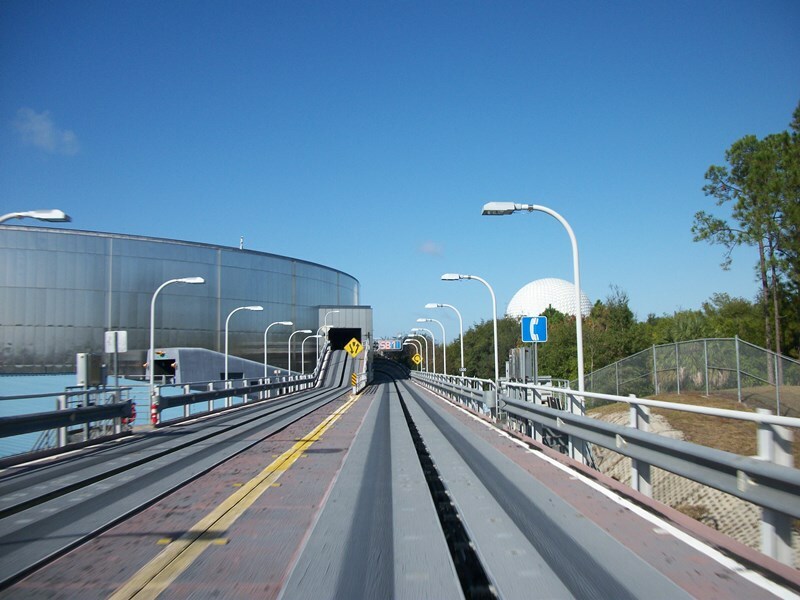 Prior to becoming Test Track, the omnimover ride vehicles languidly climbed out, up, and around the front of the circular building. During this slow ascension, guests could were able to take in all of Future World East, including Horizons and Communicore, with a bird’s eye view that included Spaceship Earth. You could notice the manner in which the walkways were set out, the landscaping, and hold your breath that you could see a monorail whizz by. 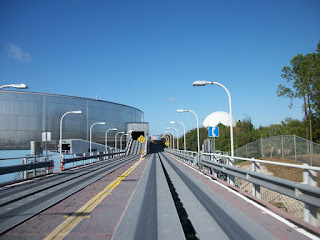 I will credit Test Track that there is still an outside section, but what you really see now are some product placement vehicles and, just when your car approaches Future World where you’d love to see what’s happening, the banked curve turns you in towards the building and the view is obstructed. I started thinking of other heights that could be reached in and around Epcot, and I immediately thought of the Image Works of the Imagination pavilion. Granted, most of us were usually in a hurry to run down the Rainbow Corridor, play with the Pin Screens, hop around on the Stepping Tones, and color with Figment’s Coloring Book to ever notice the view. However, our parents definitely took note of the view, and it was enough that on a bright, sunny Florida day, even children would stop and take note of how cool Future World looked. In the case of the Image Works, I know there is talk of it becoming a Disney Vacation Club lounge, but like the lounges scattered all around Future World, they aren’t there for every guest to enjoy. Currently, the best way to get a bird’s eye view of Epcot is to take a ride aboard the monorail from the Transportation and Ticket Center. I highly recommend taking this trip, not just to get a different view of Future World and World Showcase, but also because it’s the best monorail leg anywhere in Walt Disney World. That said, it isn’t exactly a view offered up by Epcot itself. I’m not trying to bash Epcot, and I certainly don’t have all of the answers as to how these views should come back into the park. I do believe, however, that there is a certain catch your breath moment when you get a different view of a park, icon, or area that you’ve never had before. Those moments serve Epcot well during its formative years, and would certainly be welcomed back into world of Epcot’s outlook on tomorrow. 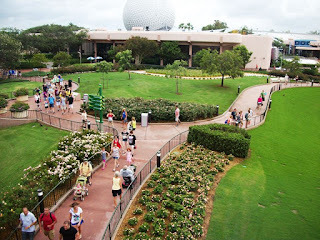 What about you, would you like to see Epcot give guests a way to view the park from more unique vantage points? Last fall we enjoyed some nice views from the Chase Lounge during Food and Wine, but that's about all I can think of.